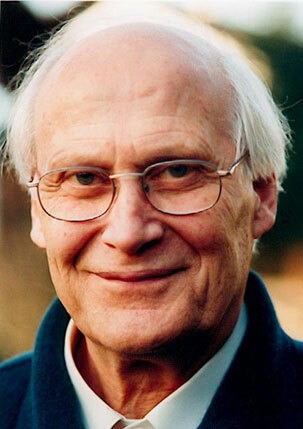 I would like to introduce you to Bert Hellinger, the founder of this beautiful healing work, on which our camp is based. Widely regarded as one of the most influential and effective family therapists in the world today, Bert Hellinger is a humble man, now in his 90s and still running workshops with his wife Sophie. Born in Germany in 1925 his youth was overshadowed by war and the growth of Nazi power. Respect for human freedom was important to him from a young age, living against the mainstream in order to follow his own judgement. This led him on a lifelong quest to understand the nature of collective consciousness, how a whole nation could move as one in such a blind, destructive direction. Hellinger acknowledges several important influences on his life and work: his parents, whose faith immunized him against accepting Hitler’s National Socialism; his 20 years spent as a priest and missionary with the South African Zulus; and his participation in interracial, ecumenical training in group dynamics led by Anglican clergy. After leaving the priesthood, he immersed himself in the study of the major forms of psychotherapy, including Psychoanalysis, Gestalt Therapy, Primal Therapy, Transactional Analysis and Family Systems Therapy, out of which, Family Constellation Work evolved. Having been trained as facilitators in Hellingers Family Constellations, We, as a group, wish to acknowledge our roots as we spread our wings.